Bliss Glass is a combination of crackle glass mixed with classic stone. Ideal for use in wall interiors and exteriors including water applications in non-freezing climates, for Residential and Commercial locations. Great for kitchen backsplashes, countertops, tub surrounds areas, showers/shower floors, wall facades, spas, pools and water applications since glass is naturally stain and water resistant. 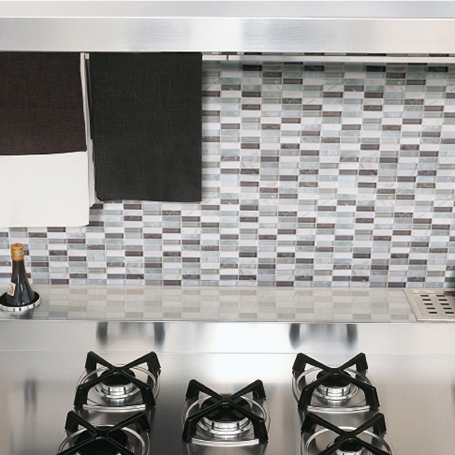 Bliss is part of our beautiful basic tile collections. Lead times are 1-2 weeks if product is in stock. Most items are stocked.